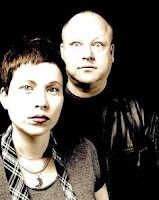 - Grand Duchy (9 p.m.) - Comprised of Pixies front man Frank Black and his wife Violet Clark, Grand Duchy play melodic, alluring indie rock with clear nods to new wave and synth-pop. The duo's debut LP, Petits Fours, features quite possibly some of the most accessible material in Black's career. - Vampire Hands (4:35 p.m.) - Ambient pysch-rock out of Minneosta. Songs such as "No Fun" and "Invisible Stairs" sound both experimental and accessible, and should provide the ideal soundtrack to a lazy July afternoon. - Treaty of Paris (8 p.m.) - Homegrown, radio-ready pop/rock. - Cavashawn (4:30 p.m.) - Another local band focused on catchy guitar riffs, singalong choruses and all-around accessibility. Think Weezer meets Cheap Trick. - Company of Thieves (6:25 p.m.) - Playing sophisticated pop fueled by the smooth vocals of Genevieve Schatz, Company of Thieves have quickly become one of the most high profile bands out of Chicago - a fact solidified by their recent appearance on The Carson Daly Show. Check out the tune "Oscar Wilde" to hear why. - Van Ghost (5:15 p.m.) - Formed in late 2007 by then concert promoter and band manager Michael Berg, Van Ghost have amassed a strong following with their appealing Americana-rock. This performance will mark the release of the band's debut LP, Melodies for Lovers. To learn more, check out my recent Q&A with Berg. - Elvis Perkins in Dearland (9 p.m.) - One listen to the eclectic, affecting folk-rock of this act's new, self-titled record proves that Perkins (the son of actor Anthony Perkins) is a singer-songwriter worth hearing. - Empires (2:25 p.m.) - Both charging and melodic, this local act's rock is tailor-made for a live festival setting. - Smoking Popes (8 p.m.) - Undoubtedly one of the most enduring bands to emerge from the '90s local rock scene, these beloved pop-punkers always put on an enjoyable show. They released their latest record, Stay Down, last year. - The Elms (4 p.m.) - Straight-up Midwestern rock 'n' roll out of Indiana. The band will release a new album, The Great American Midrange, in September. For the fest's full lineup and additional information, click here.